Once again the RMF is on in Waterloo Park. Join Atado on Sept 17th, between 11:00 am and 6:00 pm! Atado will be at the Royal Medieval Faire Sept 17! A new PD Day dawns… coming to a school near you on April 22! Is this what it looks like at your place…??? 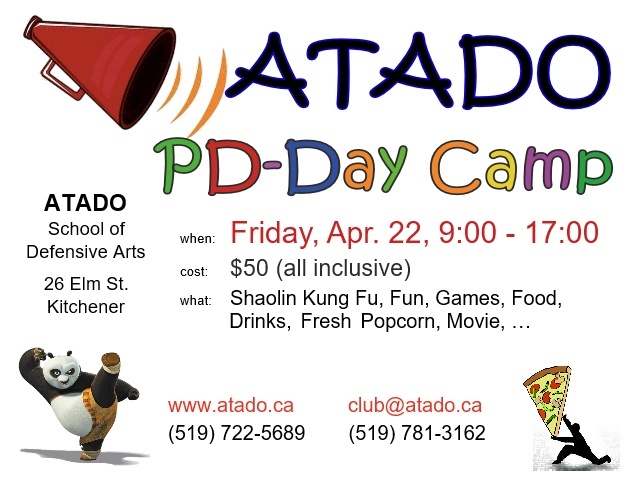 Atado offers your kids an option to pass the day with fun, games & exercise. 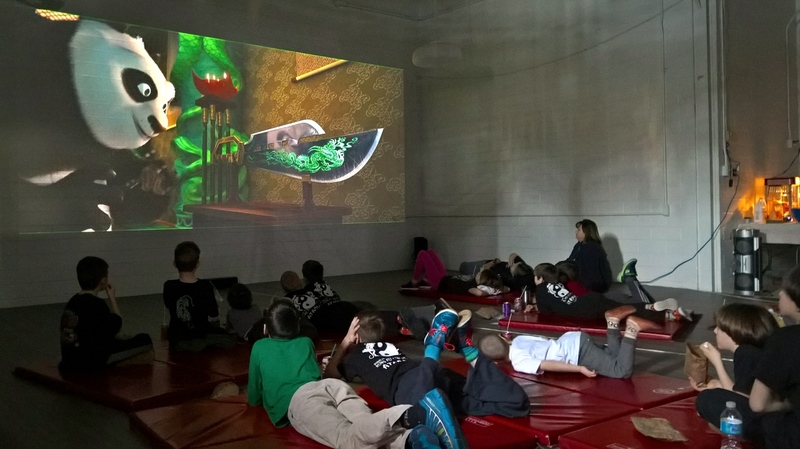 Join us for Shaolin Kung Fu, Yoga, Games, Arts & Crafts, Snacks and a big-screen movie with freshly made popcorn! Weather permitting we will even have outdoor activities. Learn some basic Shaolin Kung Fu forms, try some of our weapons, practice self defense and have lots of fun. All activities will be supervised by CPR trained adults and club instructors will be on site. Prior Kung Fu experience is not required. Space is limited. All ages welcome. The event cost is $50 per child, all inclusive. Last Night (Feb 27) Atado held its First-Ever Movie Night, thanks to the engaged organization of James and the happy participation of our kids! We had pizza, freshly made popcorn, kids & adult pop, treat bags, chips and DQ ice cream and watched two exciting movies (KungFu Panda 1 and Forbidden Kingdom). The Full HD projection onto a ~20ft screen and the 5.1 surround sound in the large space worked impressively well. The morning started off with our regular KungFu class. Our guest enjoyed a broad introduction into KungFu, from warm-up over forms to weapons. Shifu Justin and Shifu Karen worked hard to maintain some order in the youngest group (JK/SK age). In the mean time James & Robyn prepared the food stand. With some “free styling” following the class we eventually started the first movie and the first round of popcorn, drinks & snacks. After the first movie we held an activity break while the pizza arrived. With its distribution we started the second movie around 2:30, enjoying the DQ ice cream and more snacks until the event closed around 4:30. This event was great fun and we already had several request for a repeat. The fundraising efforts help us keep the club running, so look for further announcements! 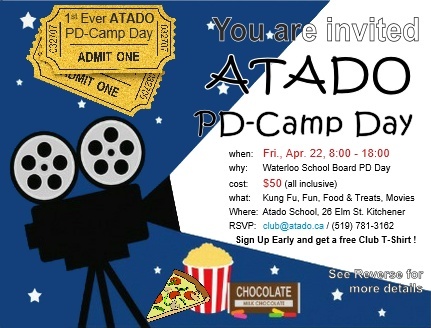 The WRDSB will have a PD Day and Atado will be open for a PD-Camp-Day! I would also like to thank our sponsors. Mention us when you visit them! And if you need renovation services, pick up a business card from our popcorn machine donor! This coming Saturday (Sept. 19) our KungFu group is booked for a booth and demo at the Royal Medieval Faire in Waterloo park! 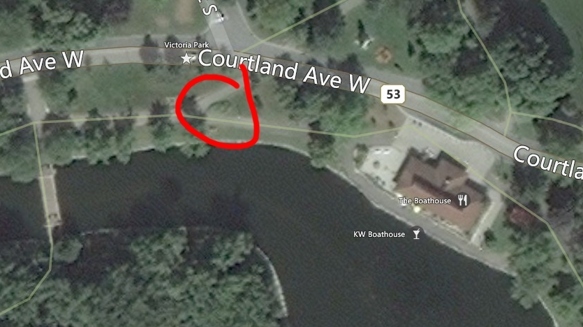 We should be near the eastern entrance to the grounds, but details remain to be seen. The Faire starts at 11:00 am and will continue to 6:00 pm and there will be lots of action, entertainment, artefacts and food. And we will be in the middle of it all. I am looking forward for see our demo! Karen, Nicolas, Justin and Keagan have been working hard with our members to get an impressive presentation together in a very short time. Come and visit our booth and see what we are up to! On Saturday, September 12th, Atado came out in force to enjoy the farewell dinner with Ron at Mandarin. We hit very near 40 people and thanks to Kevin managing the reservation (changes) we all got seated quickly. It was nice to welcome present and former members of the club and Ron enjoyed the best wishes of many of his friends and adopted family. Once again it became apparent how many lives Ron has influenced and even guided! Thank You all for coming out and Best Wishes to Ron in this new chapter of his life! New Tai-Chi Fall Program ! Atado’s new Tai Chi program will start this Fall. Join us for our first class on Tuesday at 7:00 pm on September 8th! Everyone is welcome! If you are new to Atado, remember that we offer complimentary trial classes in all our programs! Try two classes, then sign up and participate in 8 more! Shifu Victor Zhang, our well known, Authentic Tai Chi Guide, will take us through an exciting 8 week program. His goal is to introduce us to the original fighting form of Tai Chi. These teachings combine focused breathing with coordinated, controlled motion to take us beyond the realm of a typical Tai Chi program. This program provides an excellent foundation for Kung Fu students and Tai Chi practitioners who are interested in widening their experience. Join Shifu Victor and us in this exciting, authentic and rare Tai Chi experience! Read More about Tai Chi benefits here. On July 4th Atado showed up in full force at the Cherry Park Festival to demonstrate Shaolin Kung Fu to an unsuspecting audience. We had our demo “on stage” at 11-12 and put on an impressive show. Basic eight and crisp hand forms impressed the audience. Weapons gleamed in the sun. Staff hits cracked the air. Under-layed with music and backed by nice weather this was awesome to watch. The show was a bit under-visited (due to the fact that the festival had just opened and we were the first act) but we had a lot of interest and fun around our table afterwards. 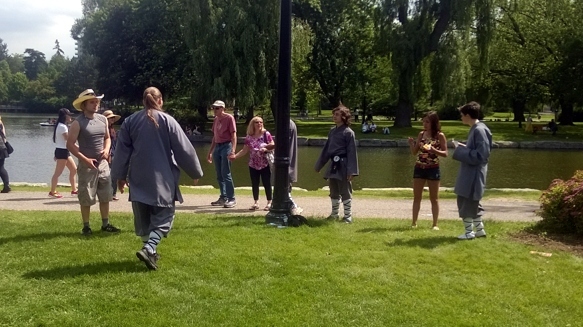 Our Tai-Chi group, lead by Shifu Victor, staged ad-hoc demonstrations and lessons. Our Kung Fu members demonstrated their skills in singles and groups and our parents handed out cookies and flyers to interested bystanders. Many visitors tested their first weapons practice and Shi Nicolas demonstrated the various weapons forms all afternoon. We received substantial interest even by the press and television. A photographer from the Waterloo Chronicle as well as a private enthusiast captured Shi Nicolas in action while a CTV camera was trained on several of our blackbelts for some action-ladden footage. I set out a spotter’s reward for a copy of any of us published anywhere by and for anyone! With all this activity we can hopefully look forward to some new visitors to the club. Thank You all for your participation and the great show! high jacking a nice little corner to do demos, answer questions and hand out flyers. The City of Kitchener held its annual Multi-Cultural Festival on June 20 & 21st, last weekend. Check it out here – it’s a great event! A small group of Atado Black Belts took it upon them to venture out with a pile of new flyers, command a nicely located staging ground and go about showing “the world” what Shaolin are made off. We generated a nice amount of interest and people were actually asking for our flyers. We are looking forward for seeing a few new faces in the club soon! Thanks to Karen, Justin, Nicolas and Gavin we had a good time, got people a taste of true Shaolin Kung Fu and had some interesting discussions with passerby’s and many of the other participants. Thanks to my “good” planning we had neither water, nor food nor sunscreen nor enough money nor did we get a really nice picture to show. I only caught Justin after he had finished his form while Nicolas was hiding behind the lantern post. Better luck next time! Anyhow, this festival is a great venture for us to meet new people, get our name out and show our skills. Next year we will try to get the booth right next to the staging ground we occupied this time. It was a perfect spot! Our Perfect Spot for a Demo – Hopefully we can get this booth next year! Thanks to all who helped and came out. I promised cookies and I brought them – come to the club, you may be lucky and get some leftovers!